Are you ready to see a change in your dog’s behavior? Some dogs seem to have been born perfect. Most, however, need training to help them become the great dogs they were meant to be. 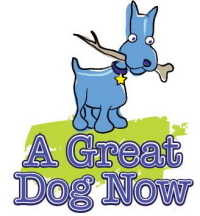 If your dog is one of the potentially fantastic dogs that just needs some training, A Great Dog Now can help. We provide an array of dog training and behavior services for dogs in the Twin Cities metro areas and can address your dog or puppy’s basic training, manners or behavioral issues. We use science-based training methods to achieve the results you’re looking for. When you work with A Great Dog Now, you take advantage of the latest developments in the science of dog behavior, training and learning. What does that mean for you? It means faster, more effective learning for your dog and less stress for both of you! We work with owners who want the best for their dogs and who want to see faster and more lasting results while learning more effective ways to communicate with their canine partners. If you are ready for a really great dog, call today to schedule an appointment or sign up for a class! Nose Work classes are held at the Shady Oak Vet Clinic, 10015 Minnetonka Blvd adjacent to the clinic entrance. We provide Minneapolis dog training and behavior services to St. Paul, Minneapolis, Bloomington, Eagan, Woodbury, Minnetonka, Edina, Richfield, and the greater Twin Cities metro area. Positive training means using positive reinforcement in lieu of punishment, force or intimidation. Unlike harsh methods, positive reinforcement does not create additional behavior problems. In addition, behaviors learned through positive reinforcement maintain themselves longer, which means less work for you! At a Great Dog Now, we are experts in positive reinforcement training.